A Mexican rustic table with lovely turned legs. Versatile and quite perfect for small places. 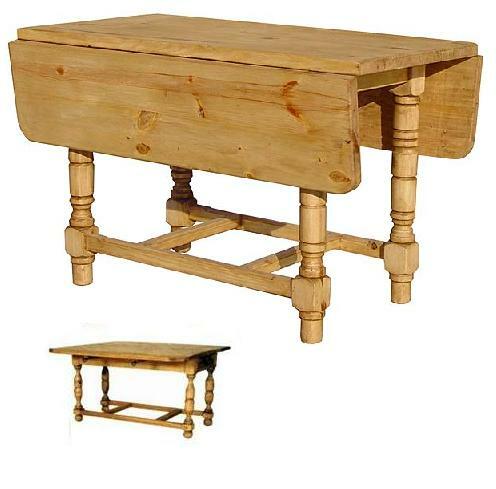 Our fold down table has a small surprise drawer on the body of the table to accommodate candles or napkins. Size when folded is 120L x 76H x 40W cm. You can take advantage of our custom stains and finishes to make it even more perfect for your Mexico home and your style of decor. And ... as an FYI, this table top looks gorgeous in Reclaimed Pine!